Directed by James Erskine, Sachin: A Billion Dreams is being screened at Ster-Kinekor The Zone in Johannesburg, Forest Hill in Centurion, Gateway in Durban and at Cavendish in Cape Town, since Friday, 26 May. 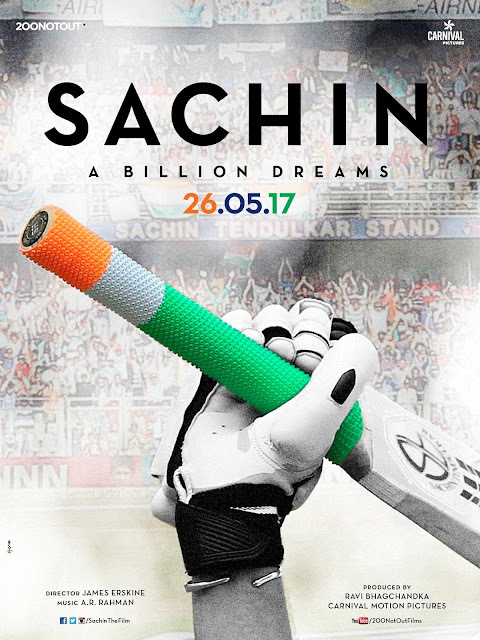 For more information on Sachin: A Billion Dreams, released at Ster-Kinekor cinemas on Friday, 26 May, and to book tickets, visit www.sterkinekor.com or download the SK App on your smartphone. You can also book at the box office. For news and updates, go to Facebook: Ster-Kinekor Theatres | follow Ster-Kinekor on Twitter: @sterkinekor. For all queries, call Ticketline on 0861-Movies (668 437).